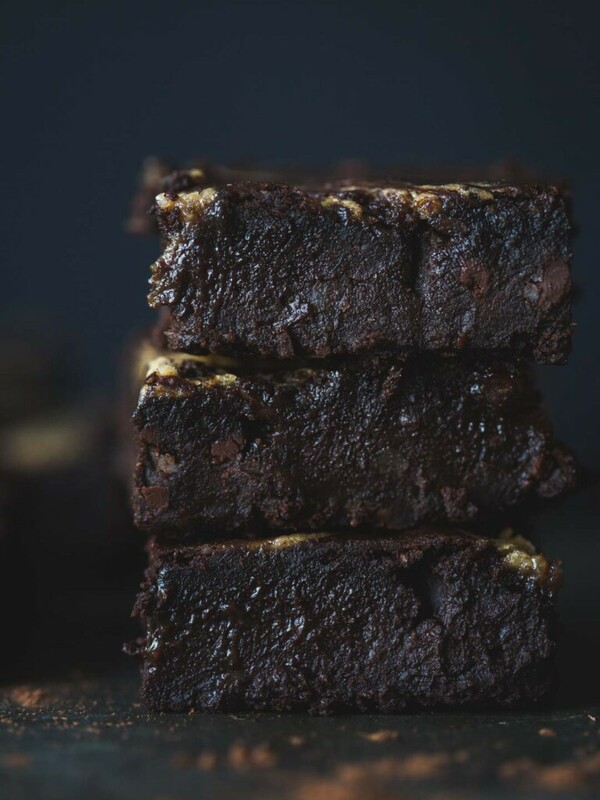 Gooey, rich, chocolatey and wonderfully wicked, these vegan Tahini Caramel Black Bean Brownies have revolutionised my brownie game. Besides being completely drool-worthy, these gorgeous squares are nut-free, gluten-free and packed with protein. I am going to make a big call; I think these are my best brownies yet. Tahini and I have had a complicated relationship. To be honest, I find tahini a little bitter and while I’ve flirted, I’ve never committed. In fact, I’ve been a bit of a culinary cad. My tahini experiments have always ended with yet another jar wallowing away in the black hole that is my bottom pantry shelf. I’m not proud to be so cavalier but I just prefer peanut butter. I know tahini is better for me but…it’s peanut butter. Peanuts are nuts. Actually they are, botanically, a legume grown underground but in culinary terms they are treated as a nut. They are also treated as nuts in daycare centres, aeroplanes and schools. I had planned a decadent peanut butter swirl chocolate brownie but then realised I couldn’t give any to the Elf in her playgroup lunchbox. Frick. 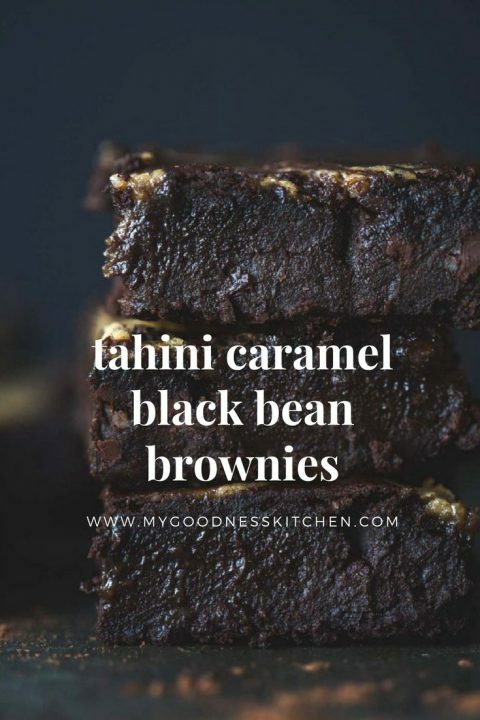 But as necessity is the mother of invention and I am an inventive mother in need of a brownie, tahini caramel black bean brownies are now served. 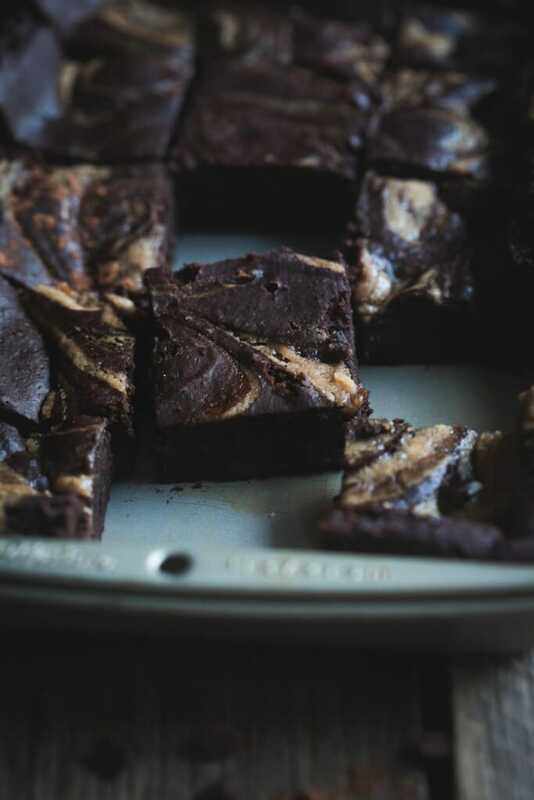 I’ve made black bean brownies before and I have come across tahini caramel while stalking my favourite food bloggers but I never imagined marrying the two could create such bliss. I am indeed, blissful. I am also a little queasy from the four or five trials to get the this recipe right but for the most part I am blissful. These brownies are ridiculous. They are rich, really rich, fudgy and deeply chocolatey without a hint of the protein rich black beans hiding within. The sunflower seed meal replaces traditional flour or almond meal to create a nut free base while the ever so slight bitterness of the tahini is tempered by maple and vanilla. So, it would seem tahini and I are flirting again. I won’t ever leave peanut butter, we’ve been through too much, but I think I might be T-curious. I am optimistic and a little excited. I will always rely on my faithful food cohorts, peanut butter, buckwheat, chocolate but there is something intoxicating about the new. Or the old rediscovered. 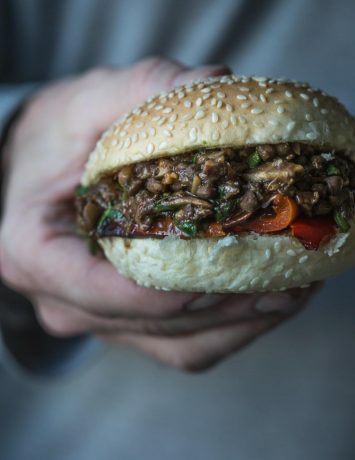 You did good here, tahini. You did good. Till we meet again. Enjoy. 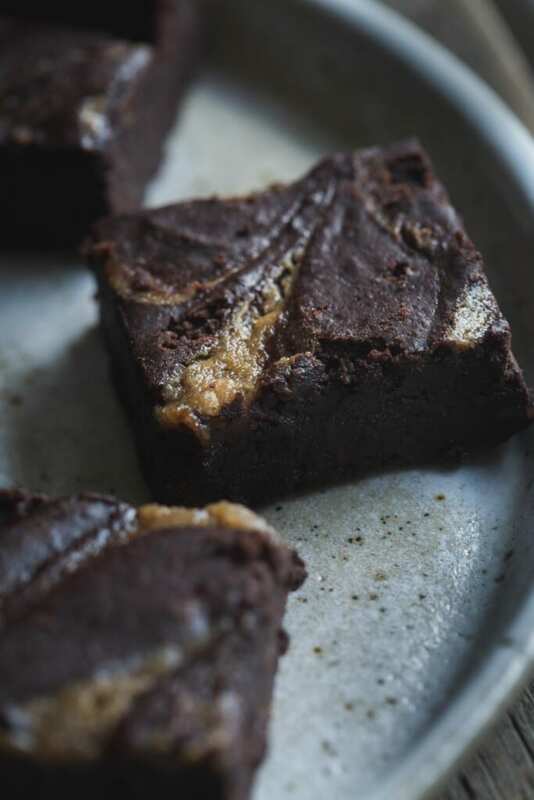 Gooey, rich, chocolatey and wonderfully wicked, these vegan Tahini Caramel Black Bean Brownies have revolutionised my brownie game. 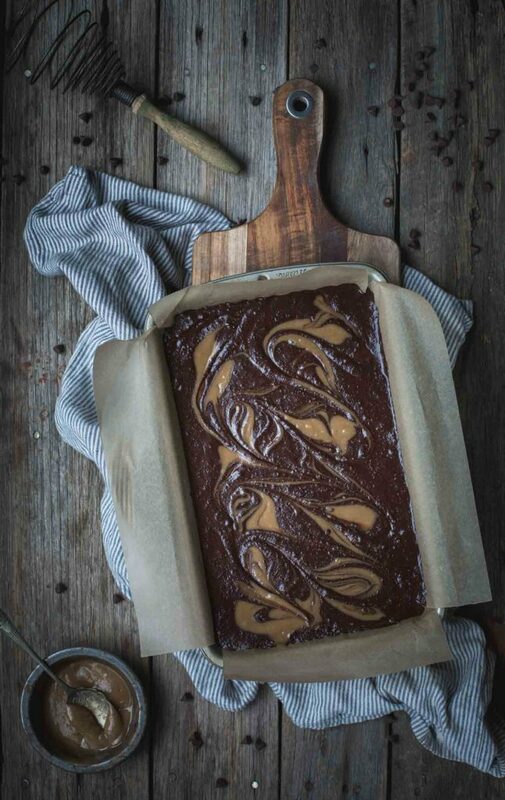 Line a small brownie pan (27.9 cm x 17.8cm) with baking paper. Combine the sunflower meal, cocoa, sugar, baking powder and salt in a large mixing bowl. Combine all the wet ingredients, other than the coconut oil, in a blender and blend until smooth. Add the coconut oil and blend until combined. Stir the wet ingredients in to the dry. Add the chocolate buttons and fold through. Pour the brownie batter in the pan. 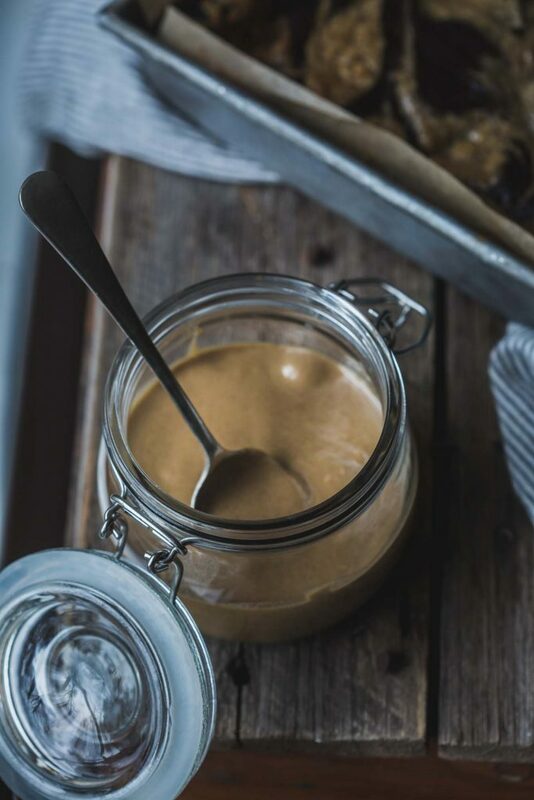 To make the tahini caramel, whisk the ingredients together in a bowl. To create the swirls, spoon dollops of the caramel on top of the brownie mixture a few centimetres apart from each other. I spooned two dollops wide and four dollops long. Using the end of a teaspoon, run a line from the first caramel dollop lengthways down to the last dollop on its line. Repeat with the second line. 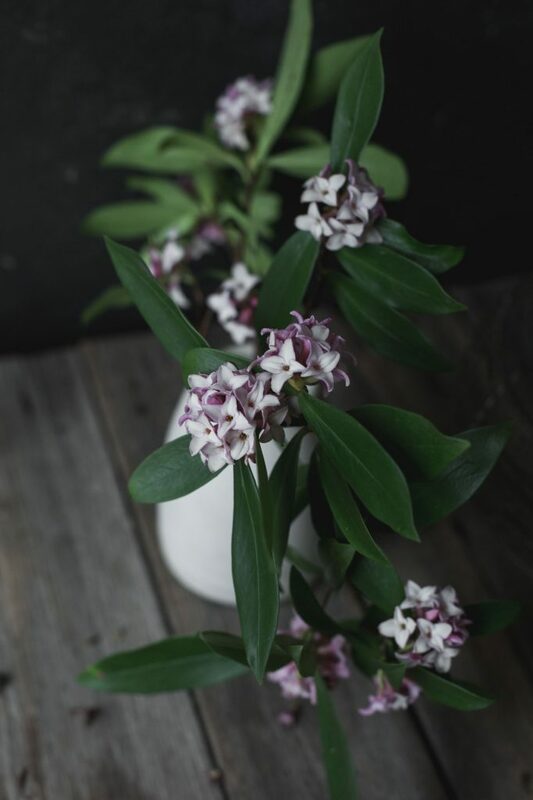 Each line should look like a row of hearts. Swirl the spoon diagonally from one corner of the brownie pan to the other. You should get some nice swirls but be careful not to overdo it or you will loose the light/dark effect. Bake the brownie for around 33 minutes or until cooked around the edge with a slight wobble in the centre. Remove the brownie from the oven to cool completely. For best results, refrigerate after cooling for at least two hours. Overnight is better. Cut in to squares to serve. 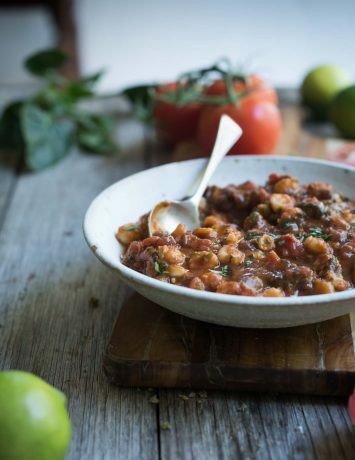 Just tried this recipe today – it’s cooling on the bench and smells SO deliciously chocolatey! The batter was a bit too thick to swirl the tahini caramel properly.. not sure why as I measured everything carefully. Should I try adding a touch more milk? Hi Sara! I would add a touch more milk a tbsp at a time. The batter may be a little more absorbant. A touch more should do the trick. I hope it all works out and you love them! Let me know. 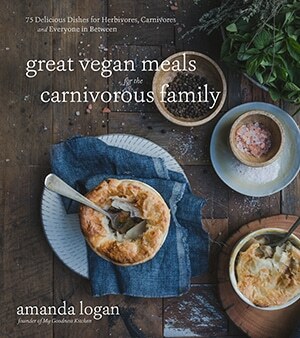 Can I use coconut sugar instead of raw sugar? And if yes, how much?